Staying upbeat and energetic when everything around you is frozen solid can be a tough task. Few of us get excited about wrangling ourselves and our kids off warm and cozy couches only to shuffle into the freezing outdoors. Even just staying active indoors has its challenges. However, for the health of you and your family, both mental and physical, keeping active during the winter can pay huge dividends. Even if you’re not a huge outdoor person, getting the family out of the house even for a little bit can definitely have its ups. We’ve come up with a list of winter-specific activities that are sure to keep your blood flowing until the thaw. This one is pretty obvious, especially considering the nature of this blog and our site, so I thought I would throw it out there first. If you have the gear and the time, don’t wait. Weather this year has been all over the board for most of the country, so make use of any spare weekends you have and get the car loaded with everything you need to tackle the mountain. You never know how many good days you’ll get. I will say that this activity is more time and money consuming to do on a regular basis than many of us can handle, so let’s get into the a few of the more accessible activities on the list. All you need for this one is a sled and a hill. Hills are free, most of the time, and a cheap sled slides just as well as an expensive one. Or you could always go Clark Griswald-style and rock out just a flimsy piece of metal with a can of pam applied to the bottom. We do not recommend the later option. Kids love tearing down the hill full speed, and the endless walks back up ensure a good amount of cardio and a good night’s sleep. Sitting, kneeling, laying down, just don’t try it standing. 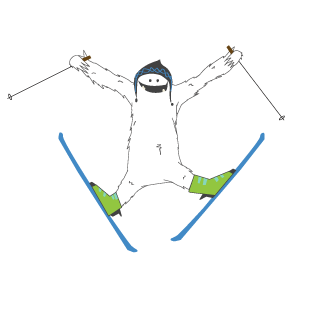 Too many times have parents eager to join the fun had the good idea to “snowboard” a sled down a hill, only to end up laid out on the couch for the rest of the season with a cast or sling somewhere on there bodies. Face it, kids just bounce off stuff, they weigh less and heal quicker. You don’t have to break a sweat to stay active. 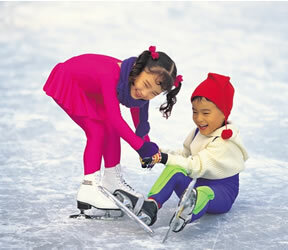 Bundle up in every piece of clothing you could ever need and take everyone on a walk around the neighborhood. Rediscover how beautiful everything looks covered in snow, or if you live in a snow free zone, discover an area you probably drive by every day but never actually look at, you might be surprised at what you find. It never hurts to get out and breathe a little fresh air, plus coming back afterwards and enjoying some hot chocolate after a long stint in the cold is one of the best things about winter. For those who feel a little too ambitious to just walk, either if you have your own pair or have to rent, snowshoeing burns up some major calories and can be a blast. Aside from the physical benefits, snowshoeing allows you to reach areas that simply walking or trekking won’t. Load Dad up with a backpack full of goodies and have yourselves a winter picnic somewhere you can get a little peace and seclusion. If you do plan on going off the beaten path, be sure you let a friend or neighbor know when and where just incase of emergencies. Even if you don’t live near a frozen lake, many cities are now creating their own little ice skating areas near their downtowns. Get that last minute holiday shopping done and finish off the night with a few laps around the rink. Chances are someone in the family has never been or doesn’t know how and there’s no time like the present to learn something new. Although falling can and does happen, once you get the hang of gliding around on skates it becomes a lot of fun in a hurry. Don’t forget the most important part of doing activities out doors; keeping everybody warm. 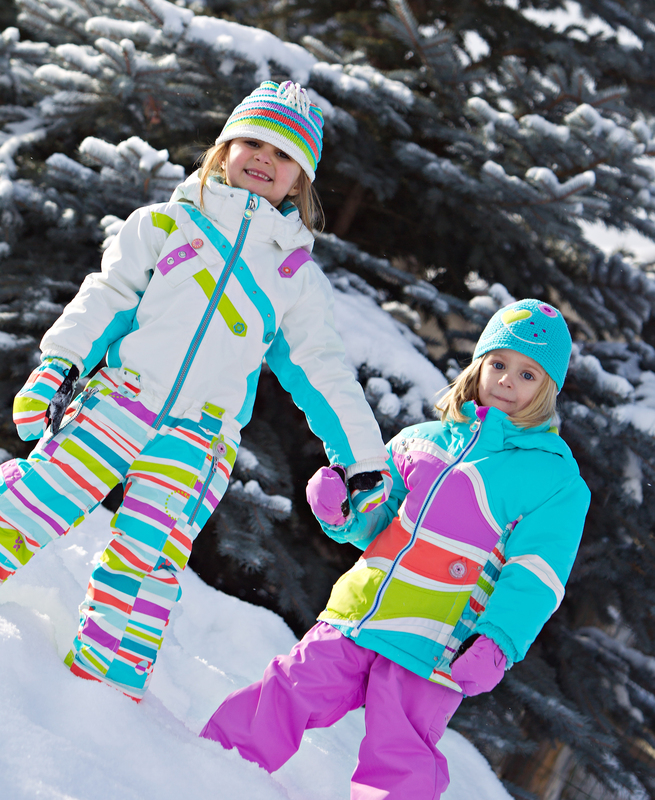 Be sure to head over to WinterKids.com for all of the kid’s outerwear you’ll need to enjoy these and any other outdoor fun you and yours can come up with.